Decorating small spaces can be frustrating but there are plenty of stylish and multifunctional furniture pieces and gadgets that will save you some space and serve a number of functions. 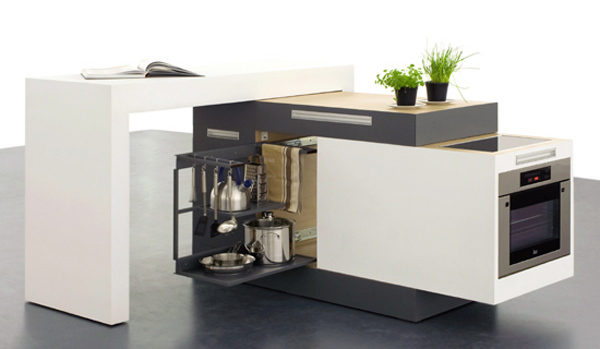 The folding furniture can be used effectively in your kitchen design as it saves space and yet serves its purpose. But it’s a known fact and many people have used it for years. Modular furniture is great for small spaces because it’s multifunctional and mobile. It can be easily restructured and moved and there are some attractive designs out there. 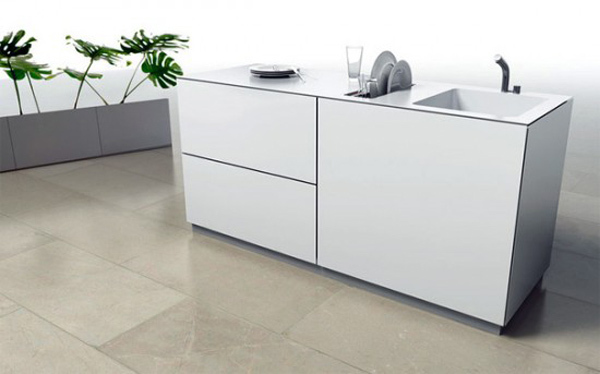 Choose effective furniture with plenty of storage room to keep everything in order in a small kitchen. This will prevent clutter. Consider all-in one small kitchen islands if you want one at all. 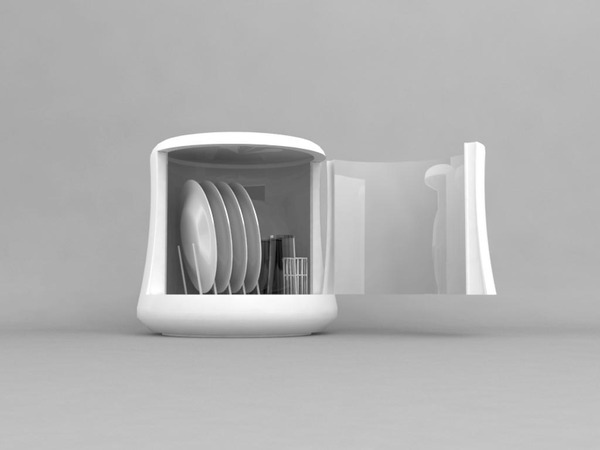 These can be enhanced in minutes as well as provide enough room to store dishes and utensils. Also choose kitchen utensils and appliances with keeping in mind their size and compactness since space is precious and you will still need to store them somewhere. There are compact stoves and fridges that can be useful if you are living in a small apartment and don’t need much storage space for produce. However all-in-one appliances may not always be the best. Think about the gadgets you use the most and get rid of those you do not use. 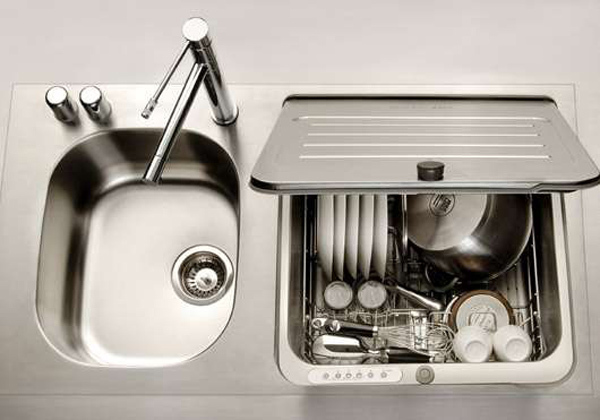 Such things as dishwashers are certainly helpful but they are usually quite spacious too and need a certain number of dishes to work properly. But what if you don’t have an extra space but the dishes won’t wash themselves? 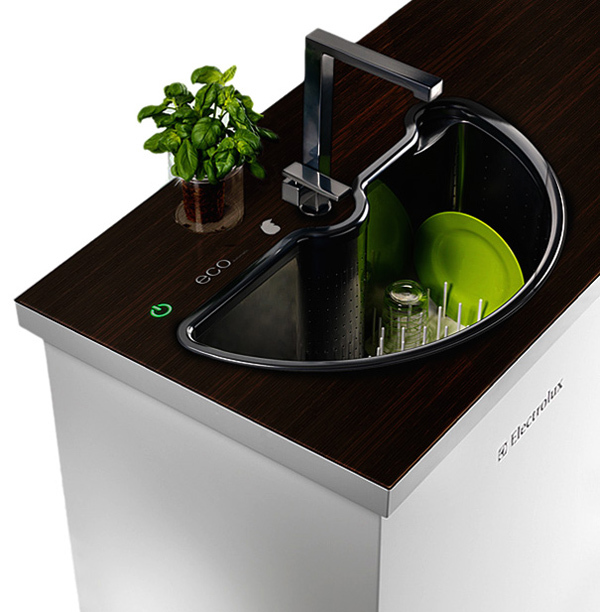 Compact dishwashers can be an answer. There are couple of projects that can help you save some space in the kitchen.